This sounds hilarious but a lecturer in one the Universities in the Southeast ‘transformed’ into Spiderman to attend to his students. 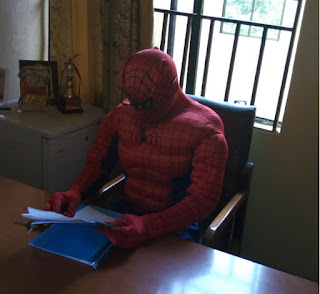 The unnamed lecturer was spotted on Wednesday morning waling into his office in Spiderman costume. 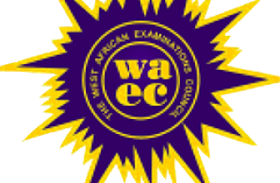 It was gathered that the unnamed lecturer had told some students he was a strong member of the Academic Staff Union of Universities (ASUU) currently on nationwide strike for the past one month. According to sources, some of his M.Sc. students wanted to see him to have a final discussion with him before their Dissertation defence which would come up immediately after the ASUU strike was called off so they wanted to get ready before then since ASUU was having serious discussions with the Federal Government and the strike may end anytime.